Deepika Padukone, Ranveer Singh and Priyanka Chopra’s ‘Bajirao Mastani’ has crossed Rs. 100 cr mark in 10 days of its release. Deepika Padukone, Ranveer Singh and Priyanka Chopra’s ‘Bajirao Mastani’ has been going strong at the box office and has collected Rs. 149.35 cr . 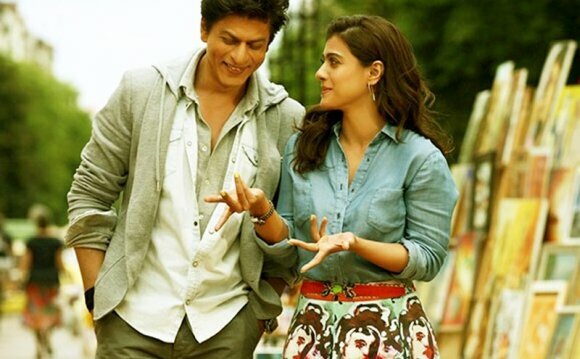 Challenging its contemporary, ‘Dilwale’ starring Shah Rukh Khan and Kajol, the film has come out with flying colours at the box office. The tables have turned. #BajiraoMastani leads, #Dilwale slows. Gap between the total narrows. #BajiraoMastani to overtake soon. India biz. Sanjay Leela Bhansali has once again proved his efficiency with ‘Bajirao Mastani’. The film which faced bans in certain parts of the country has carved out its part and it yet going strong. With another day of this weekend, we might as well see the total collections going even higher.